The original text which enabled Las Cases to publish the Mémorial de Sainte-Hélène* with the success that we know had disappeared. In effect, the ‘original’ text has been found and published for the first time. And that changes a lot! 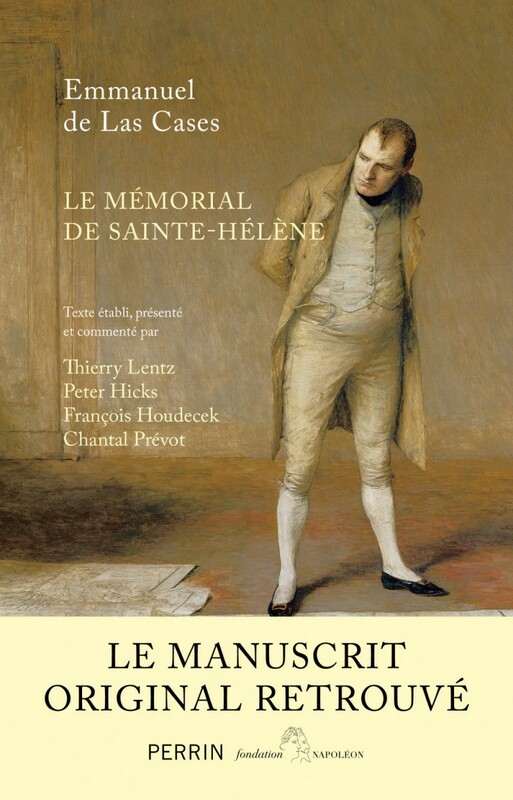 It took two centuries to find and publish the document used to compose the Mémorial de Sainte-Hélène, one of the most famous literary works in the history of France. Emmanuel de Las Cases, the Conseiller d’état who accompanied Napoleon into his last exile in 1815, was forced to leave him sixteen months later. It was not until 1823 that he published his Mémorial, a text soon to become a “bible” for all those nostalgic of the Empire and an essential source of Napoleonic historiography, based as it was on Las Cases’ conversations with the Emperor, real or supposed, for, as it soon became clear, this account sometimes seemed too good to be quite true. To judge its authenticity, it would have been necessary to have the original manuscript, written on St Helena, dictated by Napoleon. But that manuscript was confiscated by the British when they expelled Las Cases from St Helena in 1816. The four historians publishing this text (which had languished incognito) found it recently at the British Library. This publishing adventure shed precious and often unexpected light on what the Emperor really said, and the elements which Las Cases enriched and embellished. In short, with this publication we’re much closer to the authentic voice of Napoleon. * Variously known in English as “Journal of the Private life and Conversations of the Emperor Napoleon at Saint Helena by the Count de Las Cases” or “Life, Exile and Conversations of the Emperor Napoleon by the Count de Las Cases”. An interview with François Houdecek Who was the Conte de Las Cases?